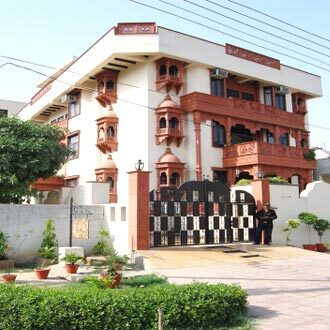 This two floors hotel in sector 51 is located near to the ISBT Noida (Golf Course Road). A total of 25 luxurious rooms with modern facilities are available for accommodation. The in-house kitchen offers delicious and hot meal throughout the day. Private events can be conducted in the banquet area and corporate travelers can organize business conferences in the conference area, which is ideal to conduct training programs and seminars.